'Yes' - They Liked It! 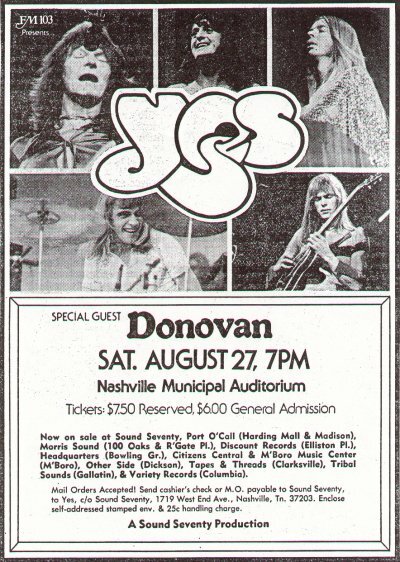 It might not have been the music that most Nashville rockers usualy hear but Yes gave a full house at the Municipal Auditorium a taste of another brand which left the crowd hollering for more then minutes after the concert had ended Saturday night. Yes' music is a derivative of flash and classical influences put into some very elaborate arrangements. Although over the the [sic] past several years they seemed to drift from musical reality and at times became lyrically inaccessible their music now seems to be drifting back to earth. Saturday night the group drew heavily on its older material to the delight of a sold-out house. 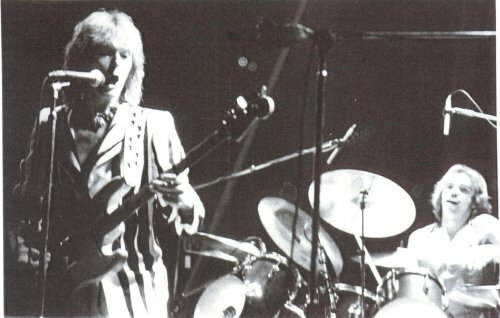 Yes is made up of five unique and interesting-to-watch stage personalities: Jon Anderson on acoustic guitar and lead vocals, Steve Howe on lead guitar, Chris Squire on bass, Alan White on drums and Rick Wakeman on keyboards. Wakeman brought his full artillery of keyboard equipment including a grand piano and several synthesizers. The much touted keyboard genius moved swiftly from instrument to instrument in robot-like fashion. Sporting a shorter hair sstyle than his once waist length cut, he appeared to be more on the level of the band then in the past when he was on a ego trip. 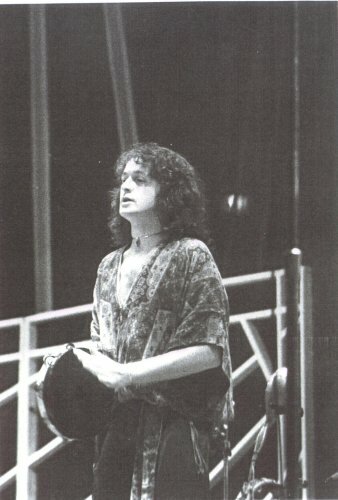 Lead vocalist Jon Anderson sang in a delicate but powerful manner. Dressed in a brown peasant outfit the vocalist appeared overly humble. 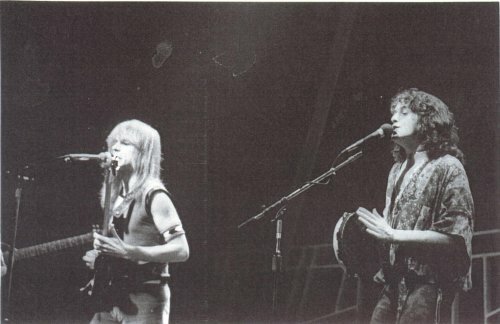 At the same time it was evident that he is the main driving force behind Yes and the write of most of their material. 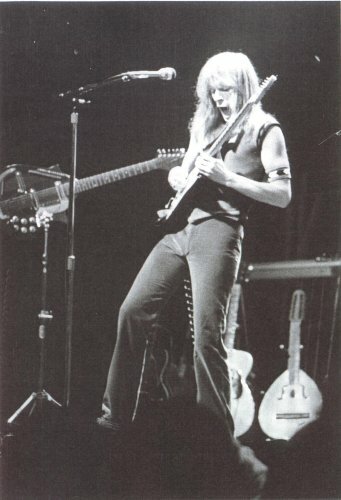 Guitarist Steve Howe and bassist Chris Squire are two of the finest on their respective instruments in the world of music. During the show they both sang backup vocals while simultaneously dazzling the crowd with some over-polished guitar work. 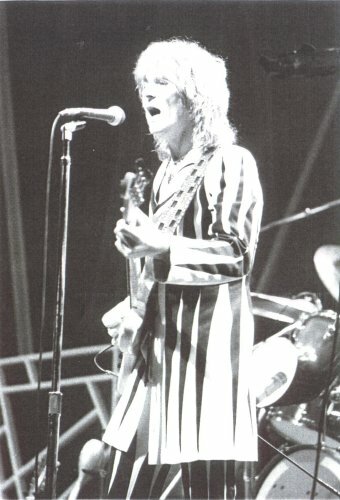 Squire played a guitar which had three necks at one point. Alan White showed his expertise on several different percussion instruments. White came to Yes via John Lennon's Plastic Ono Band and has become one of the better percussionist is rock. 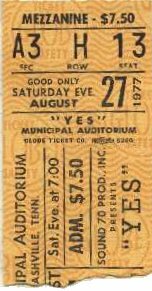 Holding a tempo for the quasi-orchestral arrangements of Yes was by no means an easy task but White filled the bill very well. Highlights of their set included almost the entire "Close To The Edge" LP. The user of a laser added to the effectiveness of the material butit ws the raw power of music which brought the audience close to the edge. Donovan opened the evening with an excellent set. The former flower-child, who peaked musically almost a decade ago, did alot of the material which made him a folk legend in the 60s. He played several songs off his newest LP including a strong rendition of "Brave New World." Donovan still draws off the subjects of death and reincarnation for a lot of his songs. Another extra at the concert Saturday night was the behavior of the audience. 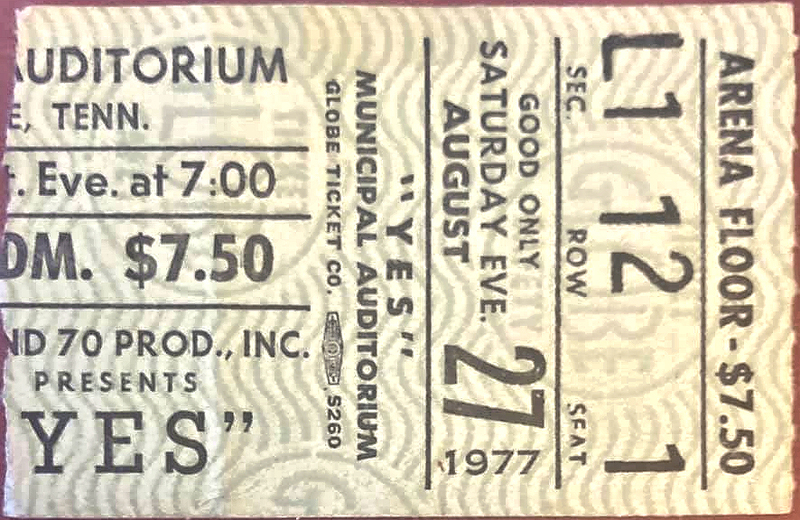 The show was a reserved seat concert bringing a better listening crowd. There were few if any incidents of fireworks and for the most part a more laid back throng. Everyone can say yes to that.